Brands of chardonnay wine may vary a bit, but in general a 5-ounce pour of chardonnay contains approximately 125 calories. 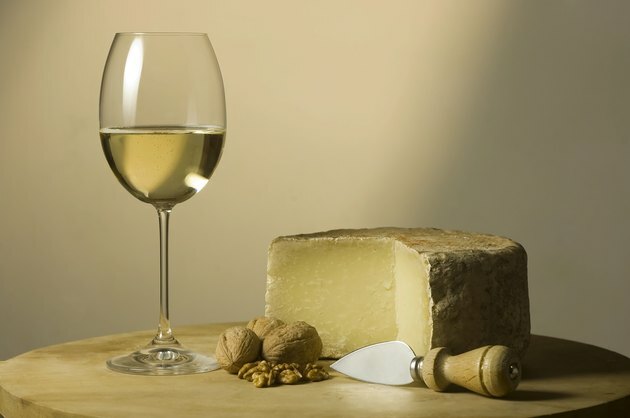 Because chardonnay is a fermented product of grapes, some of the calories do come from carbohydrates, although the majority of calories stem from the alcohol content itself. You won't get any fat or protein from chardonnay, but a 5-ounce glass of the wine does have more than 3 grams of carbohydrates. This equates to at least 12 calories from carbs, since you'll get 4 calories per gram of carbohydrate. The remaining calories -- about 90 percent of the overall calories -- are from the nearly 16 grams of alcohol. All alcohol provides 7 calories per gram. So about 110 calories in your 5-ounce glass of chardonnay are strictly from alcohol.